Sometimes a photographer starts out with one idea for a project and ends up with a very different set of final images. This is the story for New York City-based photographer Christopher Beauchamp, who traveled with a writer and ritual expert Justin Fornal to Tanzania to explore a story on witchcraft and belief systems in the area, and found himself photographing portraits of children with albinism at an East African orphanage. The personal project took on a life of its own, leaving Christopher with a growing knowledge of witchcraft in Eastern African nations, and the very people who suffer at the hands of ill-willed practitioners. I think it’s probably important to note that from a Western perspective, even the word ‘witchcraft’ has a somewhat dark and sinister connotation. In practical terms, it simply means a belief in magic or mystical powers, and similar beliefs can be found in every culture. 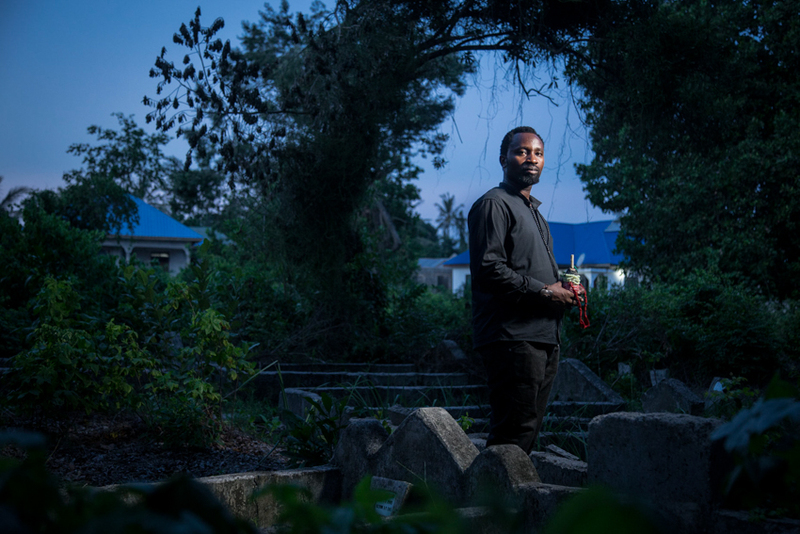 They began their time in Eastern Africa talking to local practitioners, even a police officer who incorporates his witchcraft into his investigative work. The duo researched as they went, with Justin taking notes and Christopher shooting what they found. 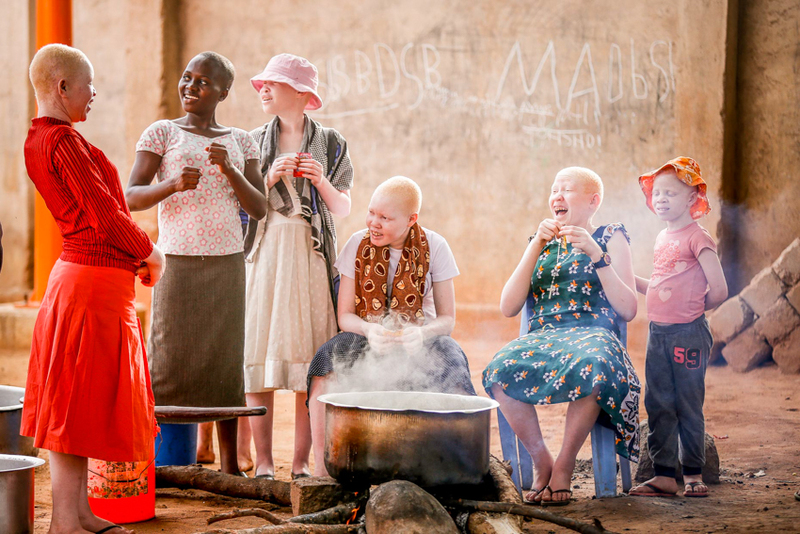 It was during the research stage that we learned that people with Albinism were believed to have magical powers, and that East Africa has the highest rates of albinism in the world. Upon learning this, Justin and Christopher felt there was a deeper story. People with albinism, especially children, find themselves the target of black market dealers looking to make money on trading information and even body parts to witchcraft practitioners looking to strengthen their power. While the people Christopher spoke with are working to change these practices from the inside, those with albinism spend most days living in fear. 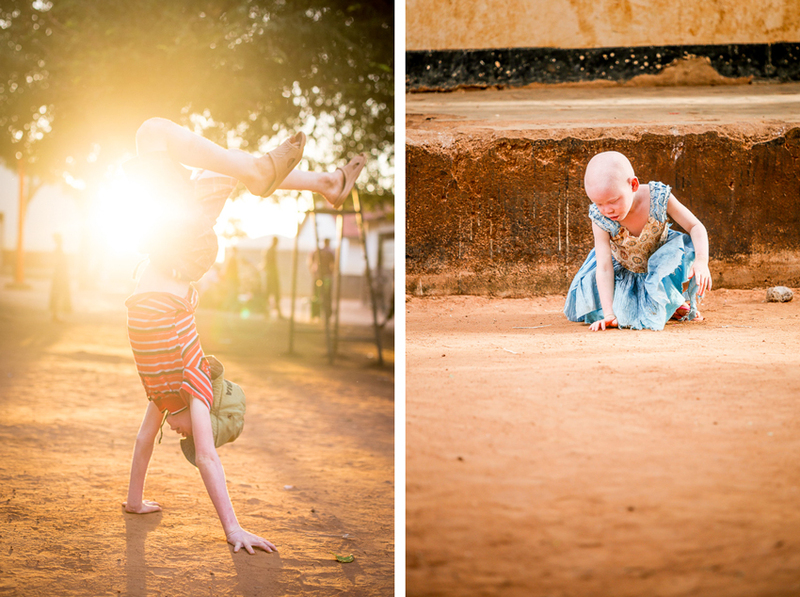 Through further discussions with locals, they found out about an orphanage that housed predominately children with albinism, and set out to see if they could set up time to photograph there. 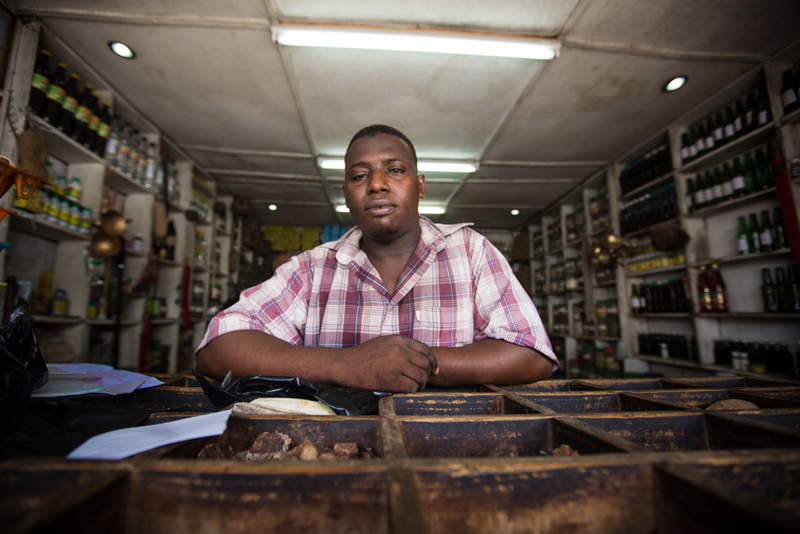 There were a few major barriers to the project, but Christopher was able to use quick-thinking and his past experience shooting at another orphanage with children who had lost their families to Ebola. The military comes in each evening before sunset and basically puts the orphanage into lockdown to protect the kids. The director granted the permission to do the portrait shoot, but it basically had to be at that moment, and we had to be on the other side of the gates before the military rolled in. With a moment’s notice, Christopher’s mind began to formulate a plan. He wanted to show these kids as they were– bright, playful, and full of life. Basically, I conscripted a few assistants and gear started flying about. We tested a few different ideas briefly, but they all had a dark somber quality to them, which I didn’t think really represented the full story of these kids. Christopher spied pink sheets drying on a nearby clothesline, and quickly course-corrected to photograph the kids in front of the fabric. 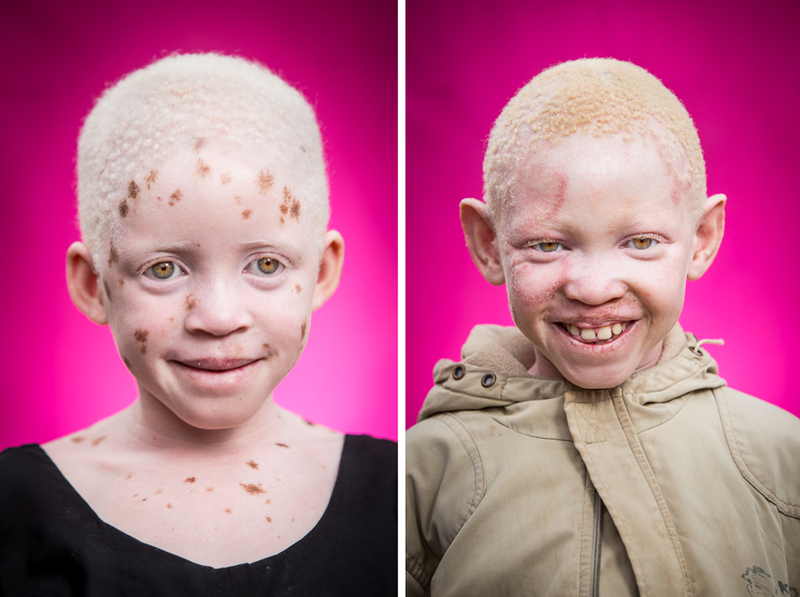 The resulting images are intimate portraits of the children at the orphanage, giving faces to the story of living with albinism in Eastern Africa. I think it’s universal, people really appreciate it when you take the time to acknowledge and validate them and their story, and these kids were no different. The project is ongoing, and Christopher is already angling to find his way back to the orphanage. He’s looking into ways to sponsor the children, or even just help supply them with supplies they desperately need.  Number one on the list? Sunscreen. It may not have been the journey he planned to take, but Christopher was happy to travel the path. See more of Christopher at christopherbeauchamp.com!